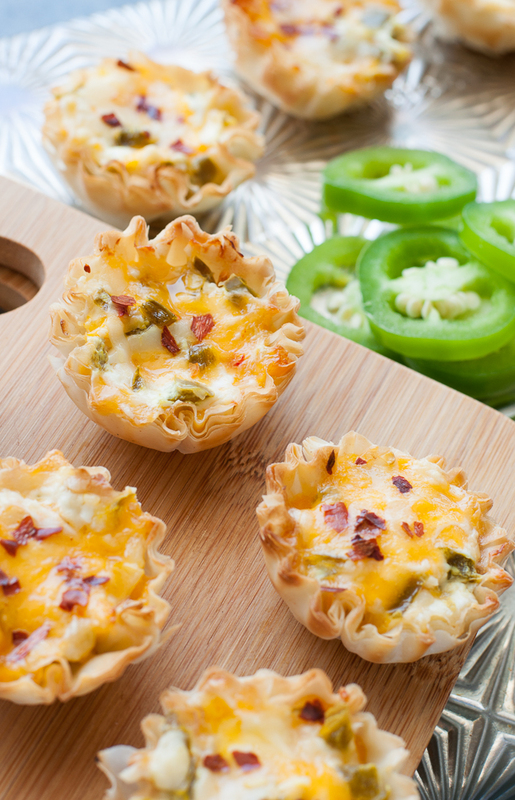 Easy to make and even easier to eat, these baked jalapeno popper phyllo cups are the ultimate appetizer! 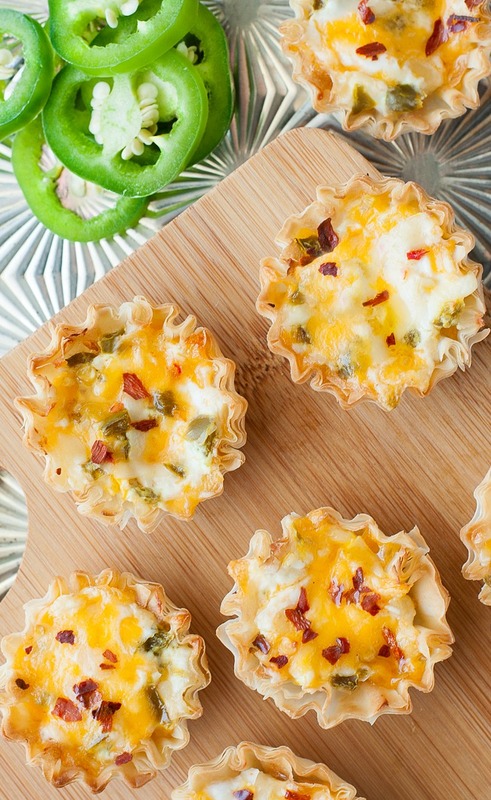 Everyone is sure to adore this jazzed up, bite-sized, crowd-pleasing recipe! This is totally one of those bonus recipe inception type of deals with a recipe within a recipe. You can follow the full schpiel and make the jalapeño bites as written above or simply serve the filling up as a dip with a small mountain of tortilla chips, some fresh bakery baguette, and a pile of crunchy veggies. Easy peasy! Pre-heat oven to 350 degrees F. Prepare a baking sheet by lining with foil and spritzing with a little olive or oil to prevent sticking. Feel free to use a silicone baking mat or parchment paper instead. All will work. 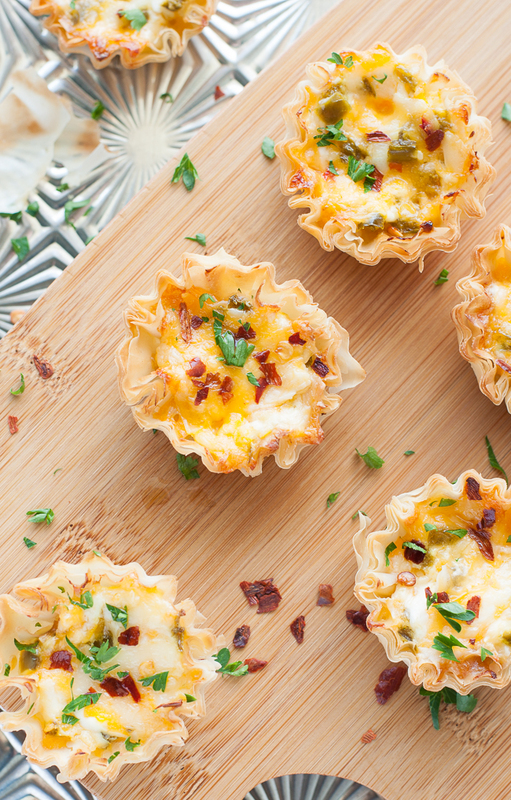 Arrange phyllo cups on your baking sheet and set aside. Combine greek yogurt and softened cream cheese in a bowl. I may or may not have eaten a few before popping them in the oven. Holy yum! They’re actually great chilled too! Yes I was so desperate as to try them every which way. I’ll eat them upside down if I have to! SO GOOD! Craving an extra kick? Top with some zesty red pepper flakes. You can also garnish with fresh sliced [or pickled!] jalapeno slices! Yum!